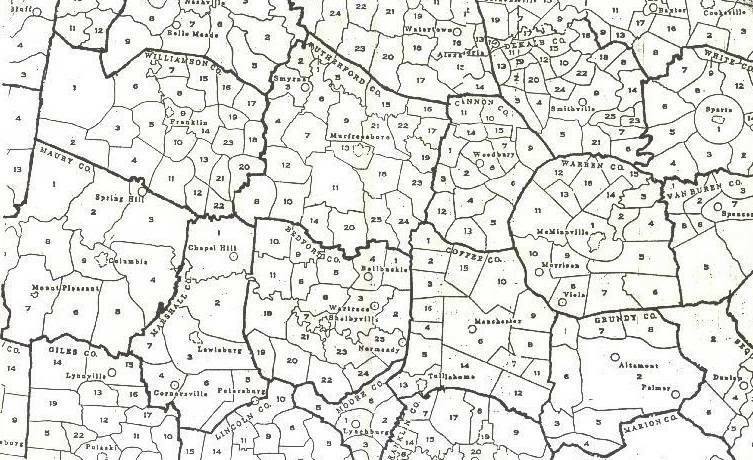 The small community of STICK Tennessee in Coffee county is apparently located north of Hillsboro on 127 about 3 miles. 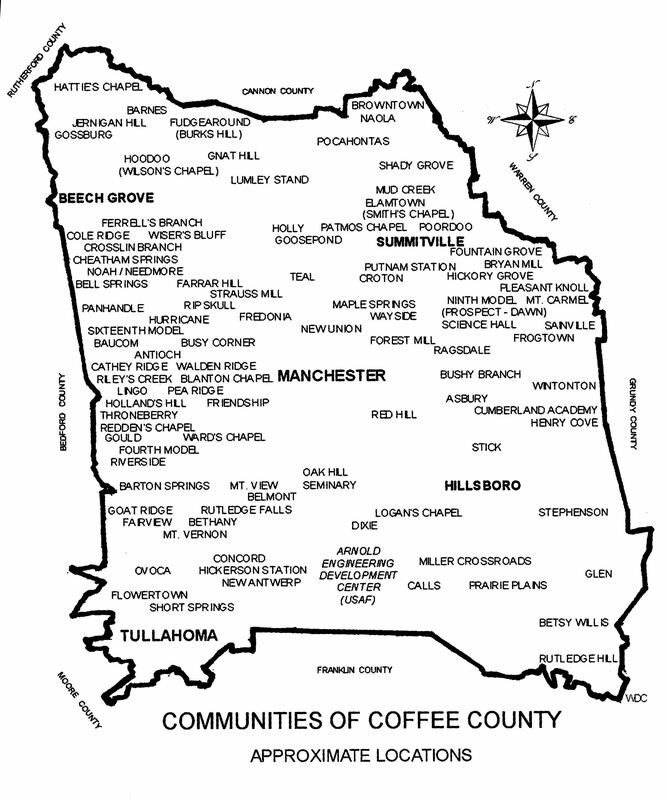 Stick possibly aligned roughly with the 8th civil district in Coffee co. The exact location of Stick is still a mystery. If you have information, please email me. Where exactly IS Stick Tennessee? Is there a cemetery there? Click on these images for full size, then click the back arrow to return here. 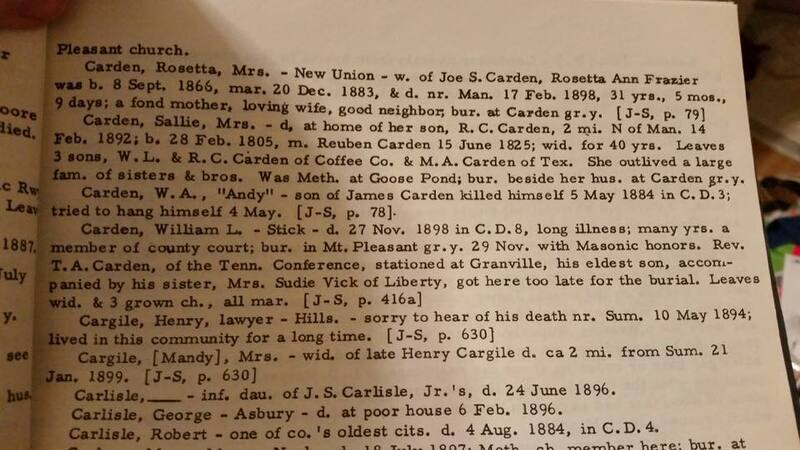 A cemetery book somewhere says Rollie Crownover is buried in an unknown cemetery in Stick. He died in 1892. 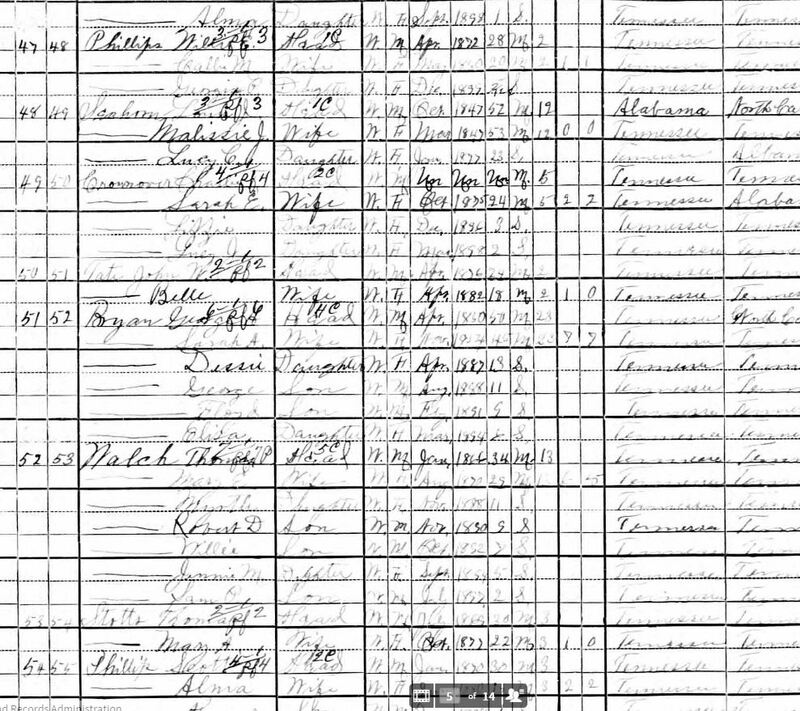 Rollie was marred to Victoria Bells Charles by William Qualls, then married to Sarah Elizabeth Ark/Arrick/Orrick. His son is Thomas Charlie Crownover. 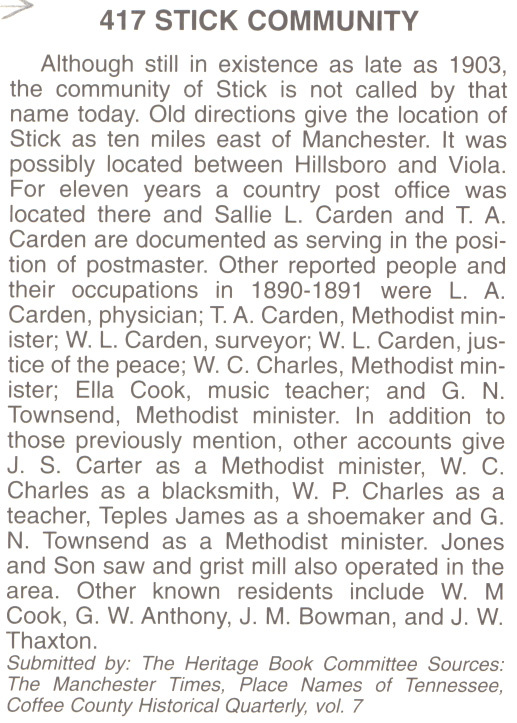 "Although still in existence as late as 1903, the community of Stick is not called by that name today. 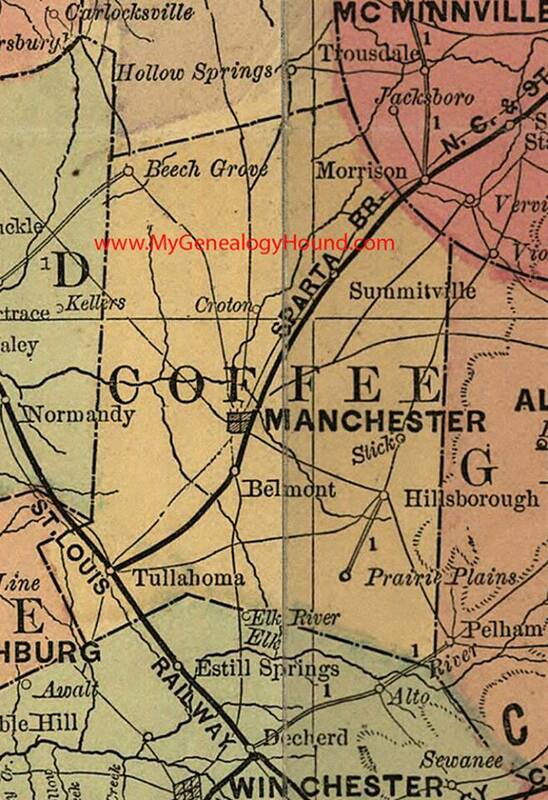 Old directions give the location of Stick as ten miles east of Manchester. 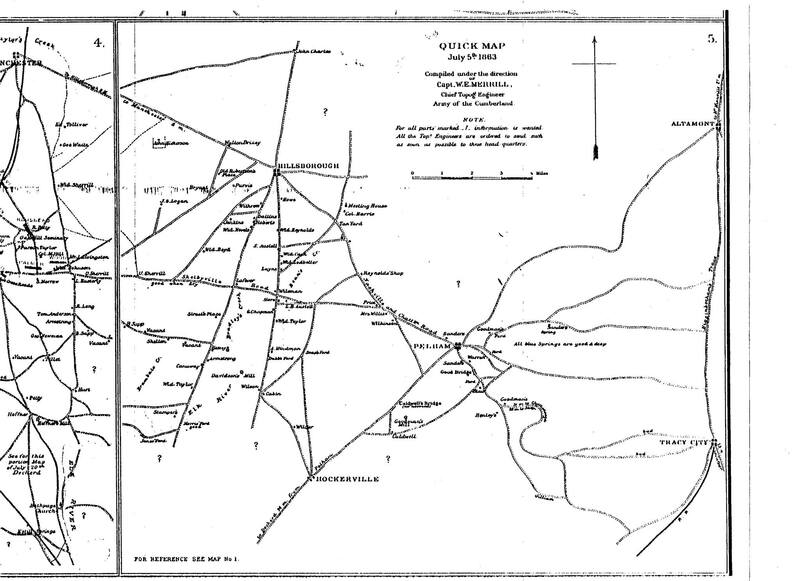 It was possibly located between Hillsboro and Viola. 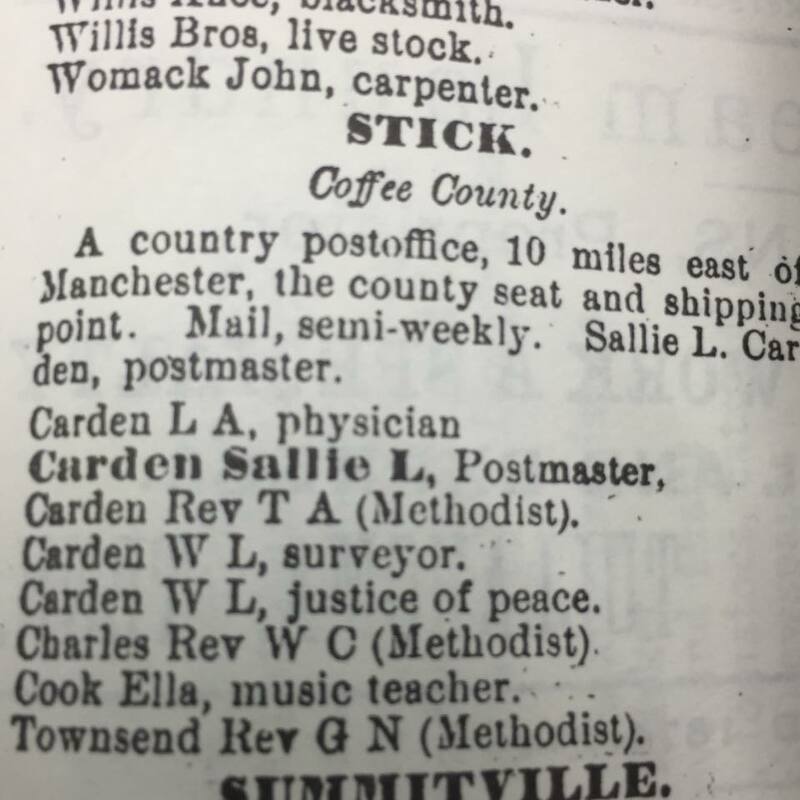 For eleven years a country post office was located there and Sallie L. Carden and T. A. Carden are documented as serving in the position of postmaster." 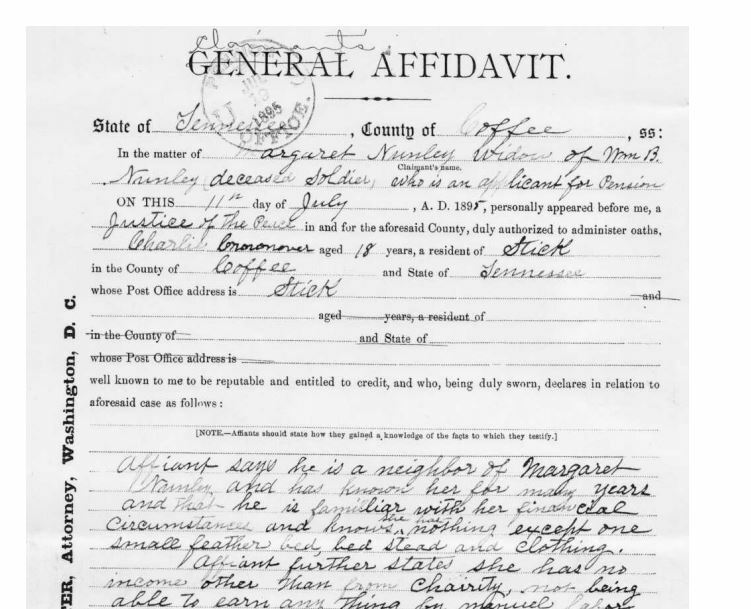 This is the pension app for my 2ggrandmother Margaret Qualls Orrick/Arrick Nunley who was married to William B. Nunley in Grundy county in 1867. He died and Margaret applied for his pension.